Northern Lights Mystery Tour, Blue Lagoon and Golden Circle Tour are available locally - or pre-book and save! Flights from Boston (BOS), Chicago (ORD), Denver (DEN), Minneapolis (MSP), Orlando (MCO), Portland (PDX), and Washington D.C. Dulles (IAD). Request pricing when making your reservation. Highlights Reykjavik, Iceland plus Reykjavik City Sightseeing. What to Expect This leisurely-paced, independent tour requires minimal walking and is suitable for most levels of physical fitness. Our 3 night Reykjavik City Stay is the perfect way to visit the land of the midnight sun and the world’s most northerly capital. Unlike many of our other tour packages, our Iceland Adventure is designed for travelers who desire the freedom and flexibility to travel at their own pace. Iceland boasts one of the world’s oldest parliaments, found in 930 A.D. 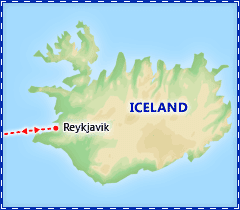 Transfers and a guided tour of Reykjavik are included. 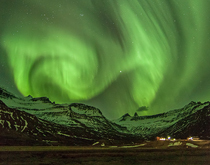 You can continue to explore Reykjavik and its surrounding areas freely from your centrally located hotel, or you may choose to join the search for the mysterious and dynamic Aurora Borealis during our optional Northern Lights Excursion. So much to see and enjoy, and so little cost...how can you possibly resist? But don‘t wait long, because this deal is too good to last. Notice: The Reykjavik City Council recently implemented a new regulation that prevents coaches from entering the city center. Therefore, we have selected a hotel outside the center to ensure the ease and convenience of your included transfers and transportation. 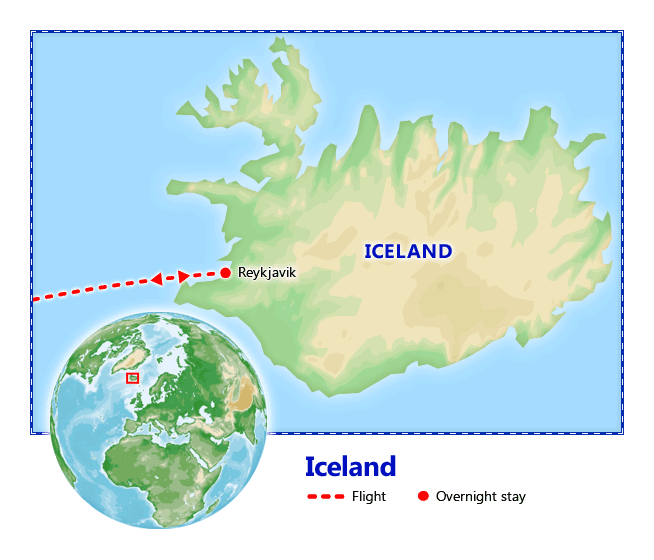 Full Day Itinerary:Upon arrival in Reykjavik, after immigration and custom formalities, please make your way outside the airport and proceed to the parked bus marked with Flybus. Most flights arrive early in the morning, but your hotel will allow you to safely store your luggage while you explore the city on your own. Optional Excursion: Blue Lagoon, $165. This morning, visit the famous Blue Lagoon, a pool of mineral rich geothermal water located in a lava field. Deep wells feed the pool which maintains a constant temperature of approximately 100-110F year round. Take the opportunity to relax and enjoy a sauna. Towels are provided. Spend the morning getting to know Reykjavik independently. In the afternoon, enjoy a tour of Reykjavik. The Reykjavik Grand Excursion is a comprehensive introduction to the past and present of Reykjavik. Reykjavik’s unique proximity to nature sets it apart from its European counterparts. 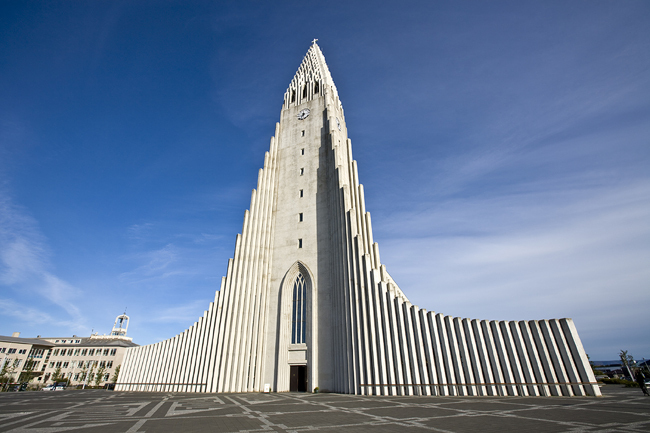 Visit The Pearl, Hallgrímskirkja Church, the harbor, and the renowned 101 Reykjavik neighborhood. Take in views of the Salmon River, which divides city in two, and the mountainous backdrop to the east, a constant reminder of Iceland’s volcanic past.
. This evening, join a quest to view the elusive Northern Lights on this dark winter Icelandic night. 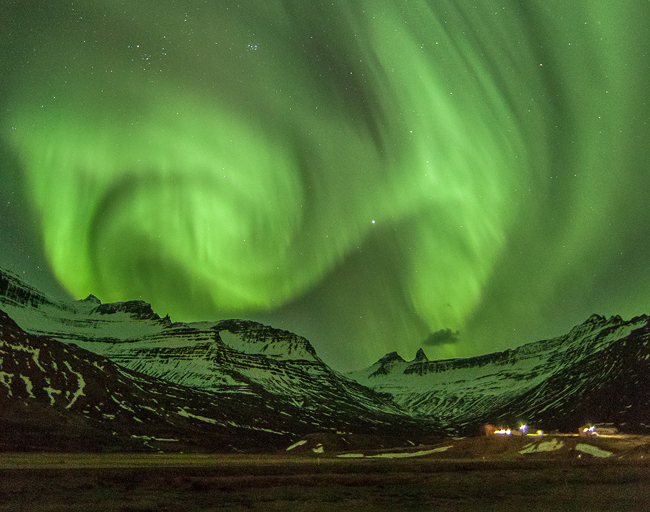 Far from the glow of the city you will hunt the ethereal Aurora Borealis, one of nature’s most fantastic displays. If the weather is just right you will see the lights swirling and dancing across the twilit sky endlessly changing their shape, color, and size. Return to Reykjavik. This excursion is subject to weather conditions. Check with the hotel's front desk for availability. Optional Excursion: Golden Circle, $95 Today, see Iceland’s best known sites on a full day tour to the Golden Circle. Drive to Thingvellir National Park, a UNESCO World Heritage site and home of the world’s longest running Parliament. Continue to the Gullfoss waterfall, which cascades down a deep gorge. Later, visit the Geysir geothermal area, home of the famous Geysir and Strokkur hot springs, which erupts approximately every 5 minutes. Then continue to Skalholt Church, the former seat of religious power for centuries in Iceland. Return to Reykjavik via the Hellishioi Power Plant at the foot of Mt. Hengill Volcano, where the natural forces are converted to clean energy. 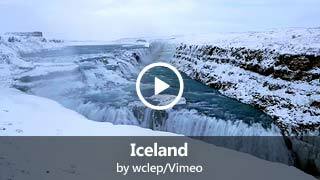 What should I know about Iceland? Check out our guide for travel tips, the best time to go, blog posts, videos, and more.